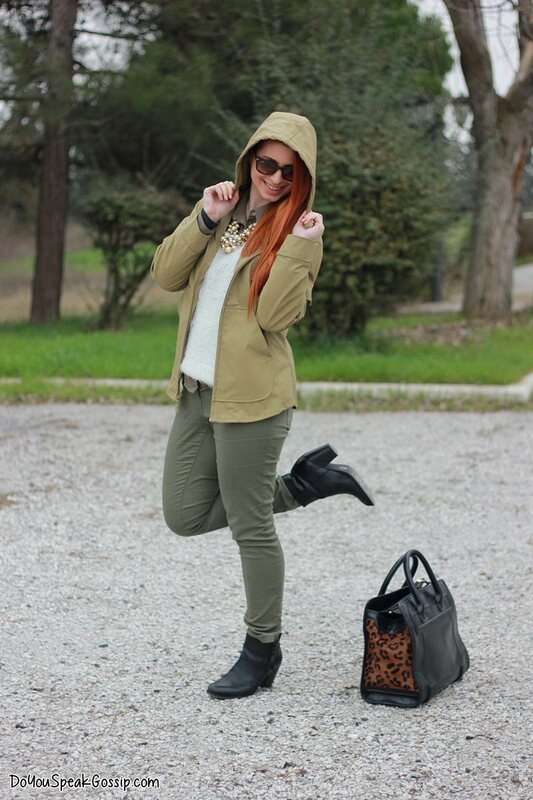 Army green & leopard | Outfits - Do You Speak Gossip?Do You Speak Gossip? Hellooo everybody! I’m finally back with another outfit post. It felt like weeks since the last one, even though it was only one week ago. I didn’t have the chance to show you all outfits that had been photographed during February, so I still have many of them to show you, and I’m super excited! This is what I wore for a casual occasion, a day that I had to run some errands with my boy. 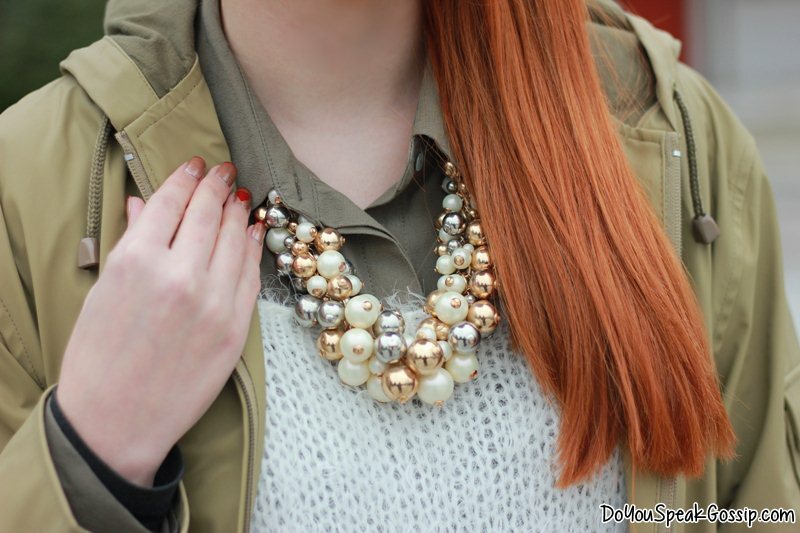 Comfy outfit and shoes, and a statement necklace with my big leather & leopard bag to glam it up a bit. What do you think? Another lovely outfit, that sweater looks really cute. Thank you very much! It’s really cute but it also gives some unneeded volume on the upper part, when worn with some layering. Caterina Drak recently posted..my outfits. cornered. S’euxaristw poli gia ta kala sou logia Aby! Na’sai kala! 🙂 Filia! 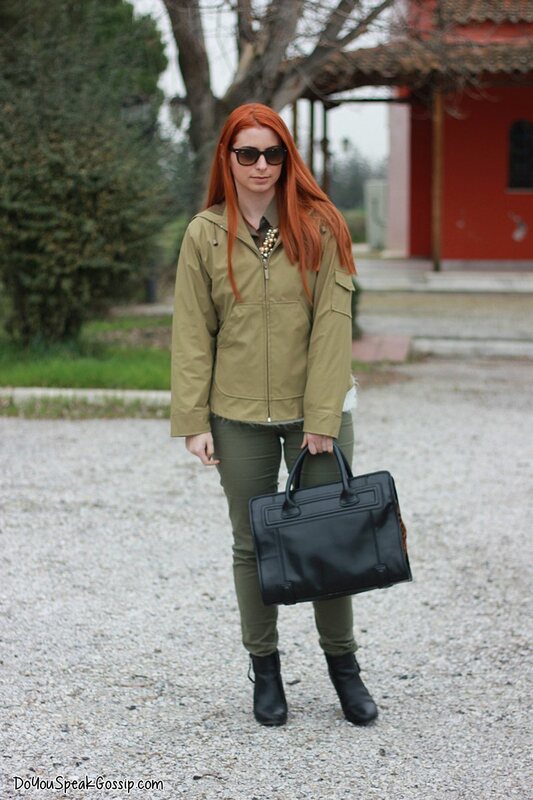 Το outfit σου είναι απλά καταπληκτικό Μαρκέλλα μου! !Είναι ακριβώς ότι χρειάζεται μια γυναίκα για μια καθημερινή περίσταση! !Άψογος συνδυσαμός! !Φιλάκια πολλά!!! Sou pane auta ta xromata, einai poli oraio outfit, kai kirios praktiko & zesto!